After their third successful torpor, our bears are waking up for Spring! The bears have been kept in their smaller enclosure during the winter so that our keepers can monitor their progress during torpor, and we're pleased to announce that they will soon be ready to be let back into their large enclosure. One lucky visitor had the chance to release the bears into their expansive woodland home on Saturday 30 March. Our bear bridge will also be opening for the summer, which gives wonderful views over the whole of their enclosure. We can't wait to have our bears back. Now that the daylight hours are getting longer, Wildwood is changing its opening hours for visitors to its park in Kent. From Saturday 30 March the park will be open from 10am to 6pm, with last entry at 4:30pm. Make a note in your diary. Wildwood is constantly building new exhibits to expand the park for the benefit of our animals and to give visitors new experiences with wildlife. We have just replaced our old Wallaby Walkthrough with a huge Red Squirrel Walkthrough which is on course to be open for the Easter holidays. Stretching from the otter pond all the way up to the horse paddock, visitors can walk along a meandering raised walkway and interact with this incredible acrobatic animal. A new way to look at your favourite woodland discovery park. As well as our fantastic display collection, the natural woodland setting of Wildwood supports a host of free-living wildlife. 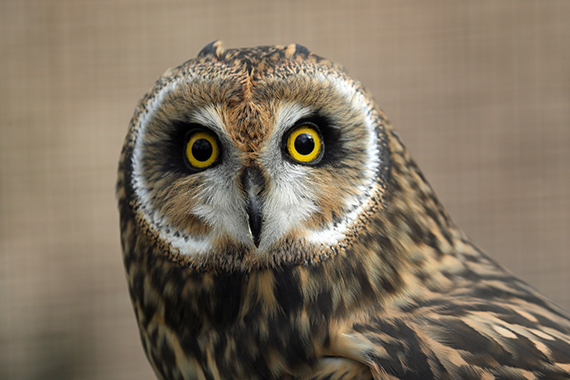 Did you know, for instance, that over 60 species of wild birds are regularly seen at Wildwood? A dozen types of wild mammals live in the woods or pass through on a regular basis; there are four kinds of cool reptiles and all sorts of invertebrates, including over 20 beautiful butterﬂies. In addition, there are wonderful woodland wild ﬂowers, a diversity of native trees and an assortment of fascinating fungi. Throughout the year we shall be keeping an eye on them all, with nestbox and bird feeder cameras, guided nature walks and trails, talks and events that will link you to the changes to wild, wild Wildwood throughout the seasons. As you walk around the park, looking at our captive collection you can look out for Wildwood’s wild things for yourselves - from woodpeckers to wood mice, from teasels to weasels, from treecreepers to trees - and add them to our sightings board. Our bear experiences for 2019 are now available to book online. We'll be starting in April and running until the end of September, with extra afternoon sessions from May onwards. Wildwood Bear Experiences are a unique opportunity to meet and learn all about Wildwood's two rescued bears with exclusive behind the scenes access. Walk through the bears' large enclosure to scatter a feed, before meeting the bears and giving them a treat in their smaller enclosure. Then let them out into their large enclosure, where they will sniff out and hunt down the scattered food. Say hello to Findlay, our new male Scottish wildcat. 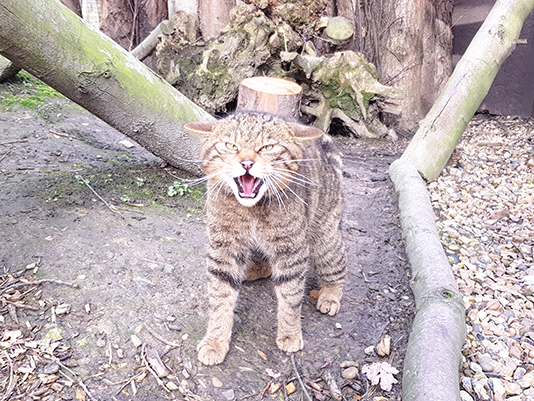 He is recently arrived at Wildwood and will be part of a breeding pair in the Scottish wildcat enclosure nearest the rat barn. He has quite the cattitude, but is settling in well and isn't anywhere near as grumpy as he looks! Our popular Wildwood nature courses are still available for our winter and spring period, catering from complete beginners and amateur naturalists through to wildlife professionals. We cover a variety of topics ranging from species ecology, conservation and handling to outdoor crafts. To find out more, visit our Conservation Courses web page . We'll have our summer courses available soon.